Internet pricing may vary from website to website. At the time of writing this review this product was found at a price of $17.25 for a bottle of 30 capsules, which under the suggested use should last about one month. The manufacturer does provide a 30-day money-back guarantee. However, looking on their website, it appears that they will only accept new, unopened products for the refund. 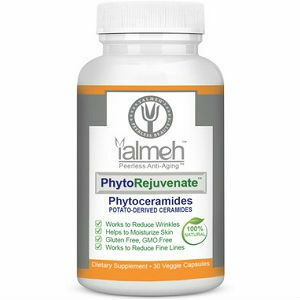 There are a lot of great Phytoceramides products on the market, including Yalmeh PhytoRejuvenate. With that being said, when looking at the price of this product, its ingredients and the limits on its guarantee, a consumer may still have reservations about purchasing this product. Jack Webster	reviewed Yalmeh PhytoRejuvenate	on February 4th	 and gave it a rating of 2.